We know that the issues that affect Oregon parents are just as important to dads as they are Oregon moms. Dads do care work, are involved in their children’s lives and stay at home more than ever before — which is why it’s time to honor their involvement at home and in the growing movement for better work-family policies. We hope you’ll join us to celebrate dads! 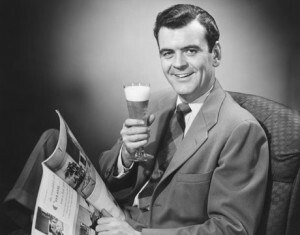 Here’s the plan: We’re hosting a “Beer 4 Change” party to say thanks, Dads! We’ll also be wrapping up our Spring Membership Drive, hearing some of the great 6 Word Memoirs we got from Oregon dads, awarding great raffle prizes (soccer tix, people), and giving away some free beer. What’s not to love? We’d love to see any and all dads (and your families) at Migration Brewing in NE Portland between 5:30 and 8 PM on Monday, June 22nd (the day after Father’s Day). A good time for good cause. Who: Any dad and his kids, partner, family, friends. Bring the family and have dinner — Migration is happy to serve them great food from their pub menu. What: A celebration of dads and their contribution to better Oregon policies for their families, as well as the final wrap up to our Spring Member drive. Cool prizes, ways to get involved, and each dad in attendance gets a free beer! Why: Because the economic security issues that women face don’t just affect women. Dads need good work-family policies, too! RSVP: Nope. Just drop in! Thanks dads, for everything you do. We appreciate you. And the movement for change needs you. Andrea, Lisa, Sharon, Danielle, Ashnie, Lili, Jamie, Laurie and the whole Family Forward Action team. PS –Invite your friends using our Facebook invite, it’s right here.